Father Don Milligan was serving as chaplain for the Winthrop Fire Department and Massachusetts State Police on Tuesday, September 11, 2001. That morning, he went to Boston’s Logan Airport Hilton Hotel to counsel with the families of loved ones who were on American Airlines Flight 11 and United Airlines Flight 175, both flights departed from the Logan Airport. Father Milligan spent five days there offering his support and counsel to the families. On Sunday, September 16, his presence was requested by International Association of Fire Fighters and Governors of Massachusetts and New York, Father Milligan along with other members of the Massachusetts Corps of Fire Chaplains, went to Ground Zero to offer their services. 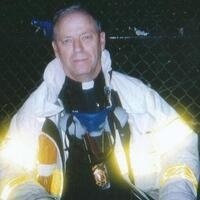 Father Milligan arrived in New York and went directly to Ground Zero working 12 to 18 hours shifts giving last rites to the remains of the 9/11 victims and offering comfort and counsel to those searching for the 343 missing active duty firefighters.